We fight anti Israel propaganda and expose the anti Israel lies. Here you will get the facts and more. Truth is, I was not at all surprised and certainly not disappointed when Ban Ki-moon supported Islamic terror against Israel. It was such an expected stance that I did not tweet or post about it as I figured it is a waste of time. There is so much hypocrisy in the U.N. that it has become the laughing stock of the world. To think that countries like Saudi Arabia and Iran sit in the human rights council while their women are still prohibited to drive and homosexuals are thrown off roofs should be enough to understand just how irrelevant this body has become. Percentage of UN member states which do NOT have full-fledged democracies-->54%! Many of countries that are members of the Human Rights Council in the U.N. don't have equal rights for all citizens in their own countries! Anyone else think the system is flawed? OK, back to Ban Ki-moon's support of Islamic terror. Over the past couple of months over 30 Jews have been murdered by Muslim terrorists. Many of the victims have been women and several of the terrorists have been ISRAELI Muslims and others have been teens who live under the PA (Palestinian Authority). Ban Ki-moon made a horrific statement justifying Islamic terror in Israel and I am not even going to publish his disgusting comments. What I will do is share with you the reaction of Israel's U.N. representative, Danny Danon who exposes the blatant bias of the U.N. when it comes to Israel. Every amount is welcome and makes a difference. 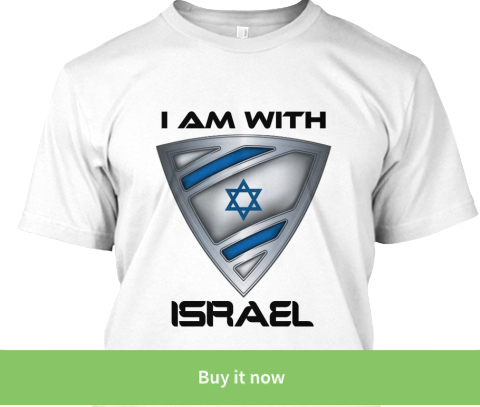 Don't forget to join me on the IsraelShield Facebook Page as well as on @israel_shield on Twitter and join the online Defense of Israel! We Always Win, We Can't Afford To Lose! What's suicidal in its stupidity is Israel's leaders, it's Prime Ministers, since 1967 have chosen to allow their own innocent people to be murdered & injured instead of repatriating back to Jordan & Egypt the overwhelmingly genocidal mythical so-called Palestinians. Millions of overwhelmingly genocidal Jihadists on the tiny strip of land west of the Jordan River have been & will always be an existential threat to the hundreds of thousands of people they've harmed & to those whom they will harm, God-forbid. One can only blame their successes, the death and injury of hundreds of thousands, on Israel's leaders who refuse to recognize the danger & futility in allowing them to remain on Israel's side of the border with their former countries where they'd lived from 1949-1967. Israelis have been blaming the UN, the Jihadist so-called Palestinians, the so-called world since 1967. How is it that so many people are fooled for so long? How is it that Israelis by the millions don't storm Netanyahu's enclave and demand repatriation of the overwhelmingly genocidal mythical so-called Palestinians back to Jordan & Egypt? Instead, more people will be murdered and Israelis will hear more of the same exact stupid idiotic speeches they've heard for many decades about how Israel will win, they'll know what to do and when, they'll devastate them, and similar nonsense. All the while, Netanyahu will continue to pretend that he cares and he's reasonable. Yes, he's the smartest dummy I know. No other nation in history has been so deluded, so stupid, so suicidal, so cruel to the innocent and kind to the cruel as has Israel. If Israelis have been calling out the UN for many decades, why on God's green Earth would they not by now realize how futile it is to try to get the so-called world to treat Israel as they'd like to be treated? Isn't this one of the definitions of complete insanity? Israel has had nothing to lose and everything to gain for decades by repatriating the overwhelmingly genocidal mythical so-called Palestinians back to Jordan & Egypt. This is supported by no less than the leader of 6.3 million so-called Palestinians in Jordan, Mudar Zahran. My words fall on stupid cowardly deaf ears. Netanyahu, as all his predecessors, will continue to prefer continued murders, injury, & loss of untold hundreds of billions in national treasure rather than begin the political & logistical process of repatriation. Of course I am interested in hearing your opinions and thoughts. No vulgarity please and try to keep to the facts. Arab Murders Jews, Jew Murders Arab, Here's The Difference. Welcome To The Gaza Ghetto! WARNING! Shocking Video! WATCH Israel's NEW Superstar Sing His Heart Out While His Mother Protects Him Like A Lioness! 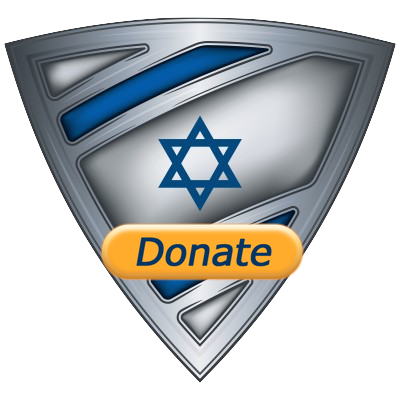 DONATE & Help Keep Israel's shield strong! Watch Jerusalem In 1939. Has Anything Changed?